PREVIEW: SM085: Leap and Climb, Tundetunde! An object that resembles a giant vaulting horse has appeared on the sports ground at the Pokémon School. Satoshi thinks it's something Professor Kukui has prepared for class, and immediately tries to leap onto it. But just then, the Ultra Guardians receive orders to immediately dispatch! Stakataka as a vaulting horse? Weird choice. What would you otherwise do with a pokémon like it? Not that farfetched and considering the characters in the show have no clue what a Stakataka is, it's not strange it resembles a vaulting horse to them. We'd probably compare an unknown lifeform to an object we know if we came across one too. Now somebody correct me if I'm wrong here, but I think the only UB's left are Pherimosa, Guzzlord, and Naganadel. Oh yes, I forgot about Kartana. Thanks for pointing that out. I wondering, if this episode going to be like the one from episode 78? Oh yeah, an Ultra Beast at the backyard of the Ultra Guardian base. It might be very dangerous, you know for seeing a multi-blocks walking around with their eyes pop out. It will be freak out. I wasn't wating for UG to come back, but it is about time we proceed with the Quest. Remember that the Light Lord will only appear when you defeat the Solar Cultist after all (or most) UBs. Now the PokeRangers put their jenga playing skills to the test! Good news that this creature is slow try to lose it is out of question. Ok, now I'm genuinely curious. Why are they holding back on Pheromosa and Kartana? I understand why we haven't seen Guzzlord yet since it was the final target in Looker's UB sidequest (if there was ever a time for Poipole to evolve then I wouldn't mind if it happened in a Guzzlord fight) but what have the other two been doing? I'd have thought they'd be before Blacephalon and Xurkitree. Anyway, Stakataka... I expect some sort of personality. We got as much out of Buzzwole, Xurkitree, and Blacephalon already. but what have the other two been doing? I'd have thought they'd be before Blacephalon and Xurkitree. The order doesn't matter. The writers are just stalling for time and squeezing as many episodes as possible out of the UBs. We shall see in this September. Like what they did with Misty & Brock last year. But the chance of that happening is very very silm. Kartana is a bit special among the ultra beast with only Poipole sharing this trait, confirmed partnership with humans. Pheromosa like wise is an Ultra Beast with the least damaging reports, both have a high catch rate among the UB's and would be something to consider. 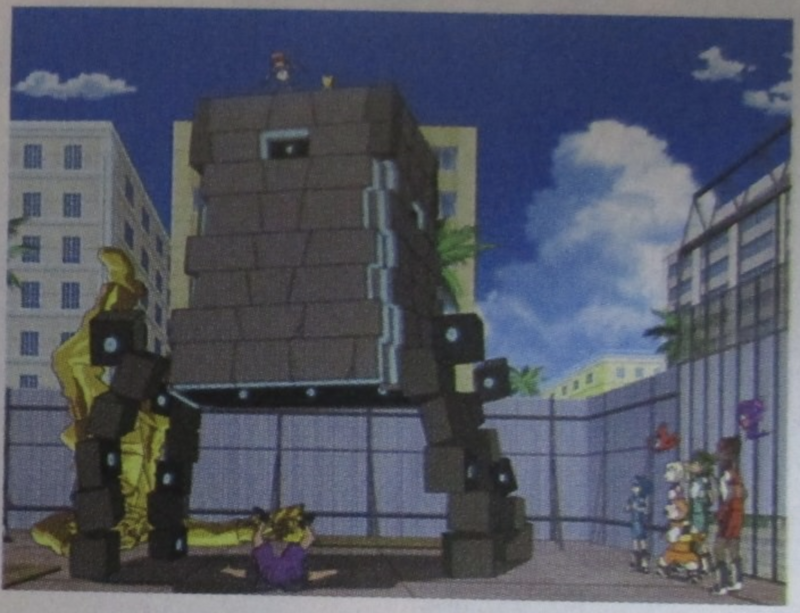 Judging from Lana standing on Stakataka, maybe she'll be the main character of this episode?